Over the years I have increasingly felt that communications is at its best when it elevates the reputation of the company in line with its business strategy. I stress on reputation to underscore the importance the word holds for communicators. How companies communicate internally & externally shapes its reputation.. In fact, according to a recent Weber Shandwick global survey among executives, communications and marketing initiatives were the fourth highest drivers of a strong corporate reputation. Creating a compelling narrative for a company and taking it to the right audience is almost as important as leadership and industry reputation. The success of a campaign depends a lot on message development and delivery, engagement and measurement. In other words, a lot on practicing communicators like us. So, what does all this mean for those, who are in the driver’s seat of reputation management? The need to constantly innovate, build, nurture, ideate and more importantly, socialize, these ideas are growing. Our roles as leaders continue to evolve fast as we manage a wide range of specialists, both inside and outside the company. And to become trusted advisors to our CEOs, we must build: communications leadership. When I started my professional career, communication was a choice by mere love of the work we do. Today looking back, I think there is a lot more to us than just our job! It is managing an entire ecosystem within the organization and outside that makes us what we are. Most of these are things often beyond our control. That is why our leadership styles demand us to be sharp, confident, articulate, flexible and credible. I am more curious than ever, always looking for new ideas. Communications started as an enabling function in most organizations and is now an innovation and leadership function. Two decades back, most of the Public Relations campaigns started with planned launches and it only meant press coverage. But today, it’s a different world, offering both opportunities and challenges. You are expected to get in ideas out of air, look at what’s the new world and curate what has not been done earlier. Today is a given, it is the tomorrow that we get paid for. That also means it is not just following but most of the times clearing the road. Leading the way without knowing what’s coming is indeed interesting! I lead a ‘venture bet’ to insure my team is not doing the same thing each year. Launching Quartz in India was one such initiative which I take great pride in. Numbers no more scare me! These days, data analytics exhibits interesting trends that can make our jobs valuable. But the success lies in analyzing the right data and not getting caught in just data mining. I spend more time on learning from previous campaign performance, compare engagement metrics and study reputation indicators carefully. I look for opportunities to improve and for trend lines to predict future performance or messaging fatigue. Today I insist on objectives that are working and encouraging them to adopt new tools and channels. The brand surveys, opinion surveys and engagement numbers equip me to make stronger business cases. Better prepared to pivot – what’s the next change? – change is a way of life.??? Communicators inherently rely on instincts or sixth sense – most of us just know it. With the growth of new media and engagement channels, I love to experiment but sometimes outcomes are not as sharp. I do not shy away from failing, I rather choose to fail fast and pivot fast. In the digital age, do we have time to stop and crib? But that does not deter me from trying new things. 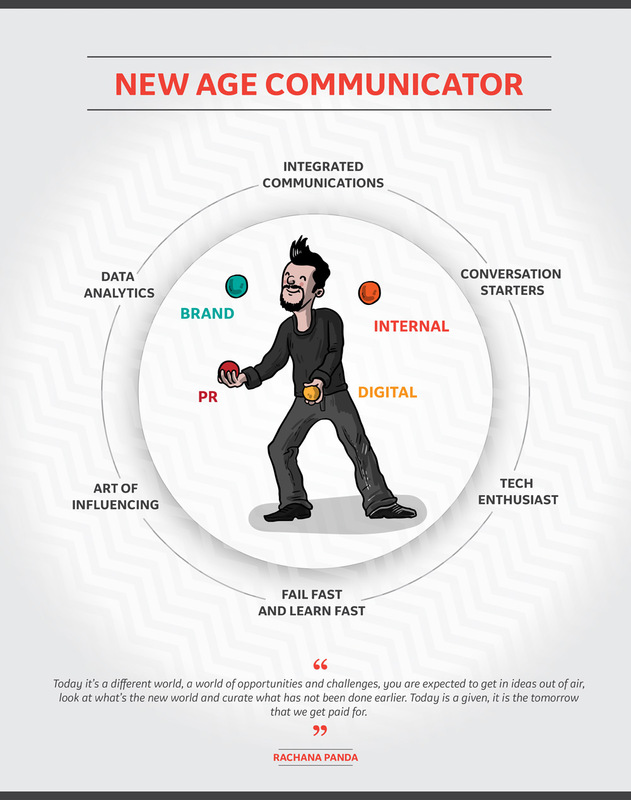 Integrated communications – The new age communications is no longer one way, internal is now beyond employees, stakeholders are becoming influencers, issues can come from any direction, hence communications has to cater to all of these. All engagement touch points need to collaborate with each other to make an impact. It is interesting to note the trend, as we increasingly leverage employees & other stakeholders for storytelling, develop content for 360-degree amplification and look at new ways to engage with our stakeholders. I firmly believe that PESO has to work in perfect symphony for maximum impact. One such favorite campaigns being Mille. The art of influencing – Influencer base of every brand will increase exponentially. Every prospect that a brand is willing to talk across digital platforms will be treated as an influencer. That means, we as communicators need to change the way we think and work. It’s no more about delivering campaigns. It is about the changing mindset and perceptions. I use more of this skill internally and externally. And most importantly encourage my leaders to be able to influence their own stakeholders and equip them with enough proof points. Our digital industrial storytelling in India is a great example to this leveraging of our leaders. Initiating conversations – It’s not always about leading. Sometimes it’s just about starting the relevant conversation. With the online communities in action this is much easier. I recently organized a Global Insights Network conversation in India around innovation and felt how much we communicators can do to make an impact. Like reputation, you cannot build communications leadership overnight. These are honed over time. And it is a long journey that requires organizational and personal patience. While I work in a strong communication culture that is effective within my organization, I cannot afford to become complacent. I will need to continue nurturing new skills and keep evolving forever. I believe that communication, as a skill, is never perfect – the smartest ones know it can always get better. It is this striving that excites me every day! 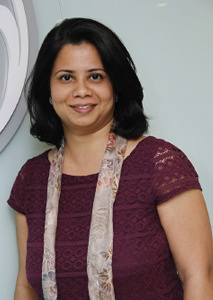 Rachana Panda is Chief Communications Officer & Citizenship Leader at GE South Asia since 2012. Her role comprises of advising the Leadership team on all facets of communications, which includes employee engagement and external communications. She also leads the brand, advertising and digital communications team for this region. Also responsible for the Citizenship Program where her role is to strategize the CSR program for GE, she is a member of the CII National Advisory Committee for CSR. She is also a regional board member of the UK-based forum, The Marketing Society, in India which is a reaffirmation that communications and marketing go hand in hand in the new digital age. A very insightful read. So many powerful tips articulated so simply. Thanks Rachana for this article. A must share.. The art of effective communication is mandatory to impress the associates n associated / followers, the basis of all relationships. Whether personal or professional, you just can’t do without effective communication. “What is the shortest word in the English language that contains the letters: abcdef? Ans: Feedback.